On Sept. 17 a group of prominent Arab and Muslim organizations from across Canada got together and sent a letter* to the leaders of the five main federal parties: Conservatives, NDP, Liberals, Bloc Quebecois and Green Party. In this latter we asked about issues of concern to us, and I believe to all Canadians, among which were, Bills C-51 and C-24, the Fair Elections Act proportional representation, Islamophobia and racism, foreign relations with dictatorships and human rights abusers and pursuing foreign nationals accused of war crimes and crimes against humanity in Canadian courts. The Liberal party response was comforting and politically correct but lacked specifics in many areas (e.g. electoral reform). Despite being drafted much later than the others it still ignored issues such as war crimes and how they will deal with undemocratic governments. Last, although talking about racism and hate speech they did not mention the word Islamophobia once, as if it does not exist as the most flagrant form of racism in our society today. Despite Trudeau speaking on the subject elsewhere, it was not directly addressed in the letter -- a de facto denial we were very uncomfortable with. 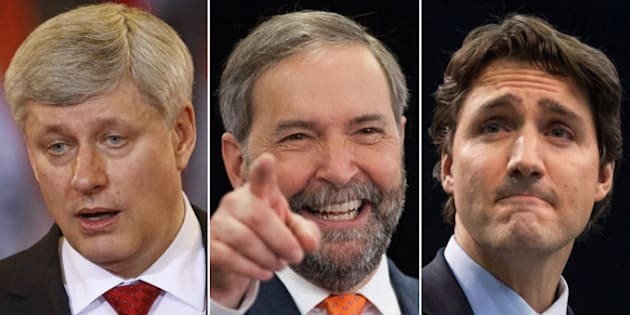 Although the NDP will not do all what I would like them to (no party would anyway) I believe, beyond doubt, that it would be best for Canada -- not only certain communities or minorities. This is why I believe Canada's Arabs and Muslims should strongly support the NDP on October 19th. Letter and the responses from party leaders here.